The Great Patriotic War is stumbling to a close, but a new darkness has fallen over Soviet Russia. And for a disparate, disconnected clutch of wanderers – many thousands of miles apart but linked by a common goal – four parallel journeys are just beginning. 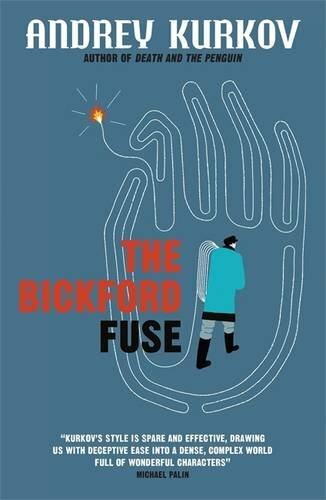 Written in the final years of Communism, The Bickford Fuse is a satirical epic of the Soviet soul, exploring the origins and dead-ends of the Russian mentality from the end of World War Two to the Union’s collapse. 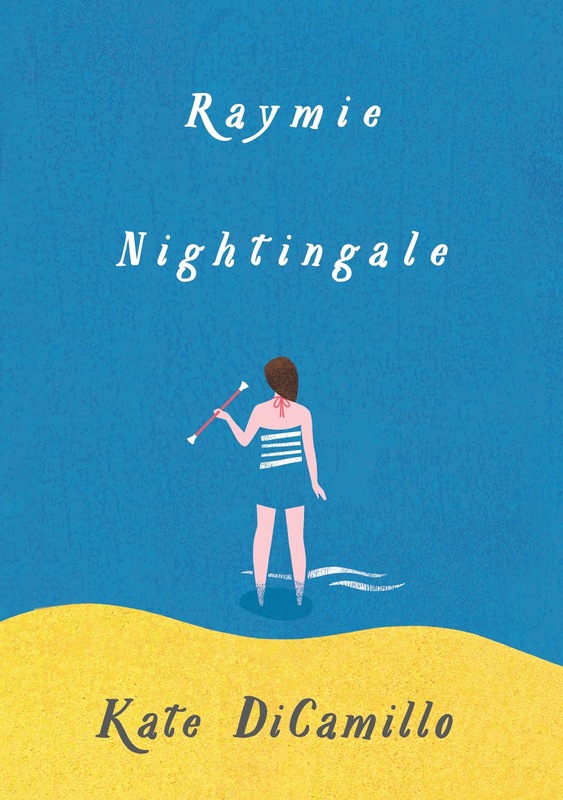 Blending allegory and fable with real events, and as deliriously absurd as anything Kurkov has written, it is both an elegy for lost years and a song of hope for a future not yet set in stone. Their inheritance turned to ash, each family member must contend with disappointment, but also – as the effects of the downturn start to hit – the challenge of sheer survival. To the world he is Sri Ramakrishna – godly avatar, esteemed spiritual master, beloved guru. To Rani Rashmoni, he is the Brahmin fated to defy tradition. But to Hriday, his nephew and long-time caretaker, he is just Uncle – maddening, bewildering Uncle, prone to entering trances at the most inconvenient of times, known to perform dangerous acts of self-effacement, who must be vigilantly safeguarded not only against jealous enemies but also against that most treasured yet insidious of sulphur-rich vegetables: the cauliflower. North London in the twenty-first century: a place where a son will swiftly adopt an old lady and take her home from hospital to impersonate his dear departed mother, rather than lose the council flat. A time of golden job opportunities, though you might have to dress up as a coffee bean or work as an intern at an undertaker or put up with champagne and posh French dinners while your boss hits on you. A place rich in language – whether it’s Romanian, Ukrainian, Russian, Swahili or buxom housing officers talking managementese. A place where husbands go absent without leave and councillors sacrifice cherry orchards at the altar of new builds. Marina Lewycka is back in this hilarious, farcical, tender novel of modern issues and manners. 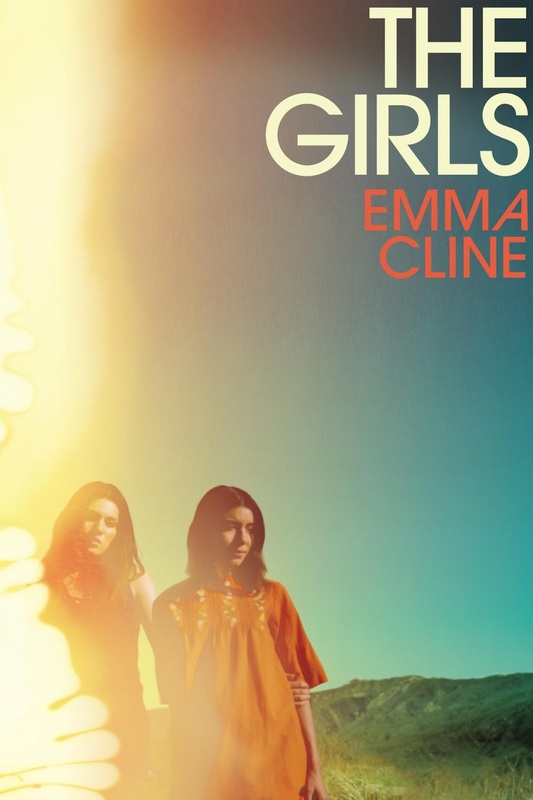 Backdrops vary in this collection of stories from the author of The Northern Clemency – from turmoil in Sudan following the death of a politician in a plane crash, to southern India where a Soho hedonist starts to envisage the crump and soar of munitions. Each story, regardless of location, reveals a great writer at the peak of his powers. Michael is John and Margaret’s eldest son. He’s a precocious kid, smart and funny, obsessed with books and music. Even while he’s still very young, he finds himself at odds with his father in ways neither one quite understands. His sister Celia is the sensible one in the family: tougher than the boys, unshakeably certain about how the world works, desperate to impress her dad. And then there’s Alec, the youngest, the most ambitious and also the most sensitive. He grows up in the shadow of Michael’s distant coolness and Celia’s pragmatic confidence, never quite understanding his father’s strange games or keeping up with the others. The children are still living at home when their brilliant, beloved father walks into the woods by their house and take his own life. Years later, when they are adults, one of them will follow him. How are we damaged by what we are born into – by those we love or who have loved us? How much can any family give to save one of its own? And how can you tell the difference between what is passed on and what is simply imitated or learned by habit – between the truly inherited flaw and the self-fulfilling prophecy? 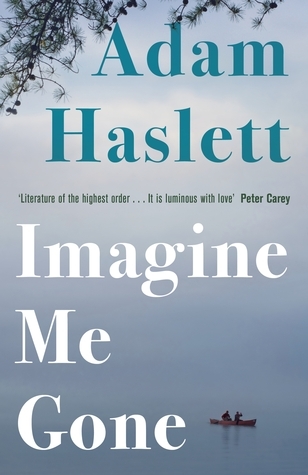 Weaving together the voices of five family members, Adam Haslett imagines how a single isolated tragedy can become the event that defines many lives, unfolding a rich and painful novel that has all the makings of an American classic. 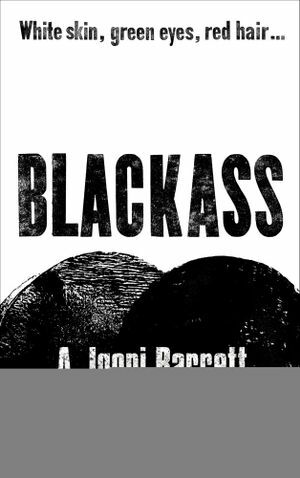 Igoni Barrett’s “Blackass” is a fierce comic satire that touches on everything from race to social media while at the same time questioning the values society places on us simply by virtue of the way we look. As he did in “Love Is Power, or Something Like That,” Barrett brilliantly depicts life in contemporary Nigeria and details the double-dealing and code-switching that are implicit in everyday business. But it’s Furo’s search for an identity–one deeper than skin–that leads to the final unraveling of his own carefully constructed story. On the eve of 1980, downtown New York is the centre of the universe. Here are the artistes and the socialites, the dealers, bartenders, party-goers and hangers-on — all trying to make it in the big city, teetering on the brink of selling out, searching for something to save them. Among them is painter Raul Engales, in exile from Argentina’s Dirty War and his own past. 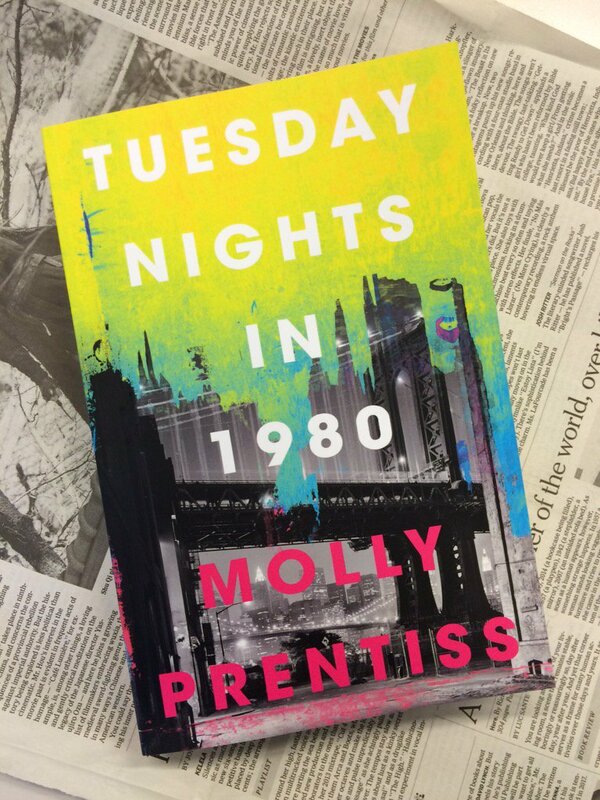 Fresh on the downtown scene and posing as an art student, he has just caught the eye of New York’s most infamous art critic: James Bennett. James has synaesthesia, experiencing life and art in wild, magical ways. He sees pictures as starbursts and fireworks, smells citrus when he says ‘mother’, and hears songs when he looks at sculptures. Art is James’s gateway to endless new sensations, the secret to his success. 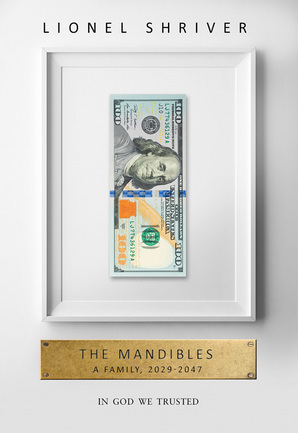 In this city, his name is a byword for good taste — until the day his gift deserts him. Over the course of one year, these three lives will collide and be transformed. A brand new decade has just begun and New York is a crucible brimming with the energy of a million secret metamorphoses, poised to spill forth art, destruction and life itself into the waiting world. The Thabo Mbeki I Know is a collection that celebrates one of South Africa’s most exceptional thought leaders. The contributors include those who first got to know Thabo Mbeki as a young man, in South Africa and in exile, and those who encountered him as a statesman and worked alongside him as an African leader. In The Thabo Mbeki I Know, these friends, comrades, statesmen, politicians and business associates provide insights that challenge the prevailing academic narrative and present fresh perspectives on the former president’s time in office and on his legacy – a vital undertaking as we approach a decade since an embattled Thabo Mbeki left office. 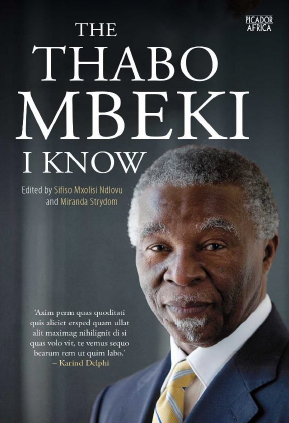 Edited by Sifiso Mxolisi Ndlovu and Miranda Strydom, The Thabo Mbeki I Know provides readers with an opportunity to reassess Thabo Mbeki’s contribution to post-apartheid South Africa, as both deputy president and president; to the African continent and diaspora, as a highly respected state leader; and to the international community as a whole. 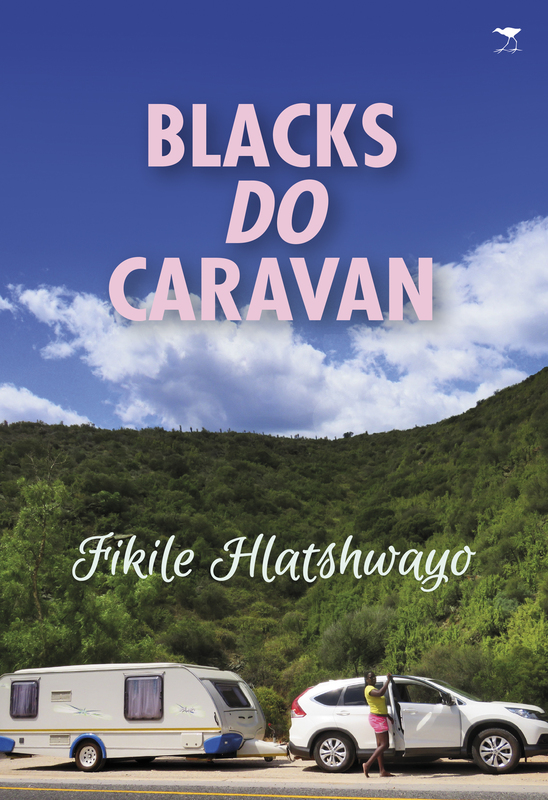 Blacks Do Caravan tells the story of a young South African family’s caravan journey, and the everlasting memories created along the way included amazing adventures and wonderful experiences. The book aims to inspire South Africans to take time out of their busy schedules and spend that valuable time with their families to discover the beauty of our country. Fikile’s trip began on 15 September 2014 and during the journey she came to the realisation that South Africa is still a divided nation. Over twenty years into democracy, boundaries still divide us. Fikile aims to break those boundaries created by the past regime and contribute to the unity that is needed for all South Africans to move forward and experience this country equally. What better way to do it than caravanning? Fikile and her family visited over 60 caravan parks and extended their travels to the Kingdom of Swaziland, which became an eye opening, mind changing trip of a lifetime. In this incisive look at issues that are both topical and intractable – the resolution of which is essential for South Africa – Christine Qunta demonstrates why we struggle to be a nation. In the title essay she examines a series of high-profile case studies that highlight what she calls ‘markers of disparateness’. In another she looks at the politics of hair, drawing parallels between the fate of Sarah Baartman and the wearing of weaves in contemporary society. Finally she offers a sometimes light-hearted account of her experiences of running a legal practice at the dawn of democracy, and having to overcome barriers of race & gender. Thought-provoking, well-argued and sometimes trenchant, these essays make for compelling reading. No reader will walk away with a neutral view. Did you know the term ‘roughing it’ comes from the tent city at Algoa Bay? Or that one 1820 settler called her new home ‘the most miserable country in the world’? This is the tale of the settlers’ dramatic first three years in their own words – their letters, journals and diaries that tell of the dangerous sea voyage and setting up of farms in a difficult environment. 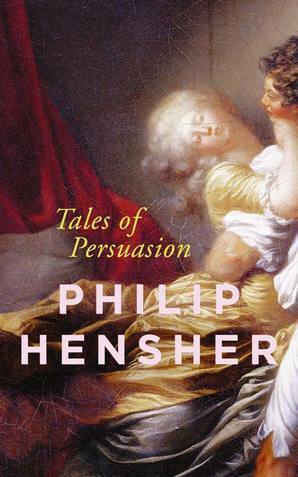 An engaging read with a delightful narrative touch. The Soweto Student Uprising of 1976 was a decisive moment in the struggle against apartheid. It marked the expansion of political activism to a new generation of young activists, but beyond that it inscribed the role that young people of subsequent generations could play in their country’s future. Since that momentous time students have held a special place in the collective imaginary of South African history. 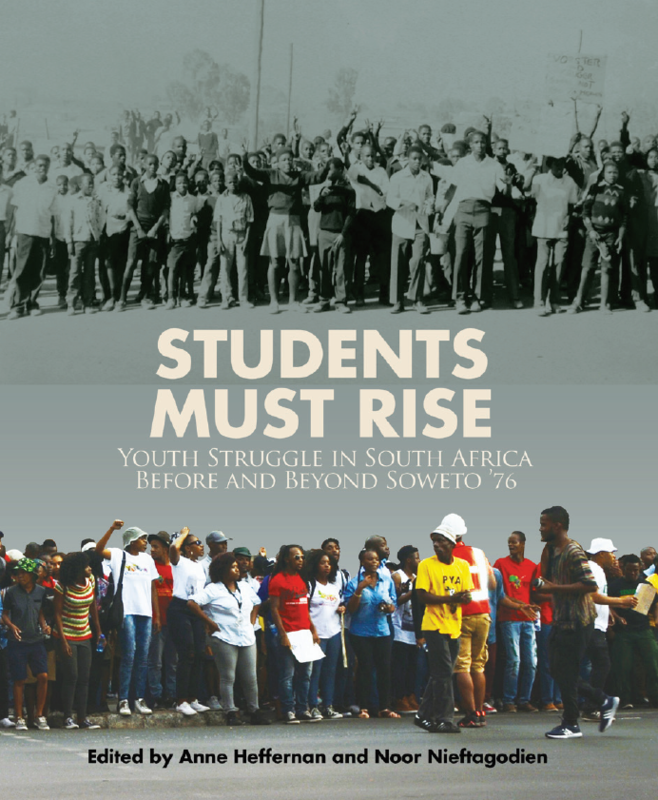 Drawing on research and writing by leading scholars and prominent activists, Students Must Rise takes Soweto ’76 as its pivot point, but looks at student and youth activism in South Africa more broadly by considering what happened before and beyond the Soweto moment. Early chapters assess the impact of the anti-pass campaigns of the 1950s, of political ideologies like Black Consciousness as well as of religion and culture in fostering political consciousness and organisation among youth and students in townships and rural areas. Later chapters explore the wide-reaching impact of June 16th itself for student organisation over the next two decades across the country. Two final chapters consider contemporary student-based political movements, including #RhodesMustFall and #FeesMustFall, and historically root these in the long and rich tradition of student activism in South Africa. 2016 marks the 40th anniversary of the 1976 June 16th uprisings. This book rethinks the conventional narrative of youth and student activism in South Africa by placing that most famous of moments – the 1976 students’ uprising in Soweto – in a deeper historical and geographic context. The present is a contest between the bright and dark sides of discovery. To avoid being torn apart by its stresses, we need to recognize the fact and gain courage and wisdom from the past. Now is the best moment in history to be alive, but we have never felt more anxious or divided. Human health, aggregate wealth and education are flourishing. Scientific discovery is racing forward. But the same global flows of trade, capital, people and ideas that make gains possible for some people deliver big losses to others and make us all more vulnerable to one another. Business and science are working giant revolutions upon our societies, but our politics and institutions evolve at a much slower pace. That’s why, in a moment when everyone ought to be celebrating giant global gains, many of us are righteously angry at being left out and stressed about where we’re headed. To make sense of present shocks, we need to step back and recognize: we’ve been here before. The first Renaissance, the time of Columbus, Copernicus, Gutenberg and others, likewise redrew all maps of the world, democratized communication and sparked a flourishing of creative achievement. 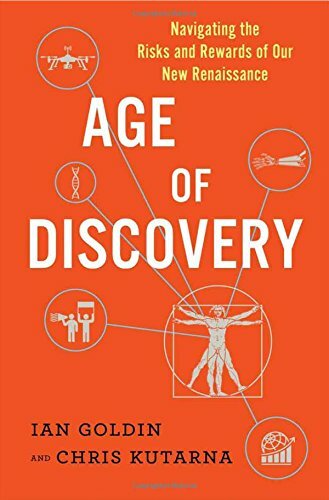 But their world also grappled with the same dark side of rapid change: social division, political extremism, insecurity, pandemics and other unintended consequences of discovery. 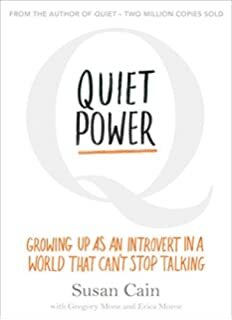 Susan Cain sparked a worldwide conversation with Quiet: The Power of Introverts in a World that Can’t Stop Talking. She inspired millions of people, and permanently changed the way we see introverts – and the way introverts see themselves. Now she takes the Quiet Revolution to a younger audience. This insightful, accessible and empowering book is eye-opening to extroverts and introverts alike. Unlock your hidden superpower and give yourself the tools to make a mark – in your own quiet way. The Blitz of 1940-41 is one of the most iconic periods in modern British history – and one of the most misunderstood. 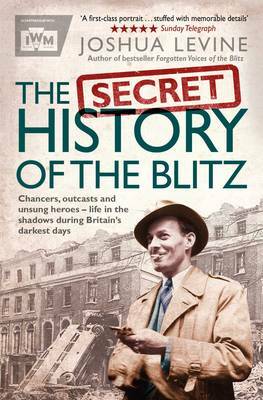 The ‘Blitz spirit’ is celebrated by some, whereas others dismiss it as a myth. Joshua Levine’s thrilling biography rejects the tired arguments and reveals the human truth: the Blitz was a time of extremes of experience and behaviour. People were pulling together and helping strangers, but they were also breaking rules and exploiting each other. Life during wartime, the author reveals, was complex and messy and real. From the first page readers will discover a different story to the one they thought they knew – from the sacrifices made by ordinary people to a sudden surge in the popularity of nightclubs; from secret criminal trials at the Old Bailey to a Columbine-style murder in an Oxford college. There were new working opportunities for women and the appearance of unfamiliar cultures: whilst prayers were offered up in a south London mosque, Jamaican sailors were struggling to cross the country. nlikely friendships were fostered and surprising sexualities explored – these years saw a boom in prostitution and even the emergence of a popular weekly magazine for fetishists. On the darker side, racketeers and spivs made money out of the chaos, and looters prowled the night to prey on bomb victims. Inspired by classic illustrated botanical volumes, this is a modern celebration of wild, garden and exotic flowers. A single photographic image captures the intricate detail, form, texture and colour of each flower. The hauntingly beautiful photographs – as beautiful as the most captivating still-life painting – pay respect to classic Victorian botanical illustrations but they are paired, for a younger audience, with succinct, quirky text about the culture and historical interest of each variety of plant. Every example is the most perfect representation of a flower and, thanks to its composition and detail, it will trigger in everyone a fresh desire to look around and feel enriched by the beauty in our world – in our gardens, window boxes, flower shops and parks. Broken down into chapters based on floral characteristics or symbolism, this is a stunning gift book that taps into the growing interest in the natural world around us – its flora and fauna – and the associated benefits on our well-being, and the powerful pursuit of quiet, mindful activities. 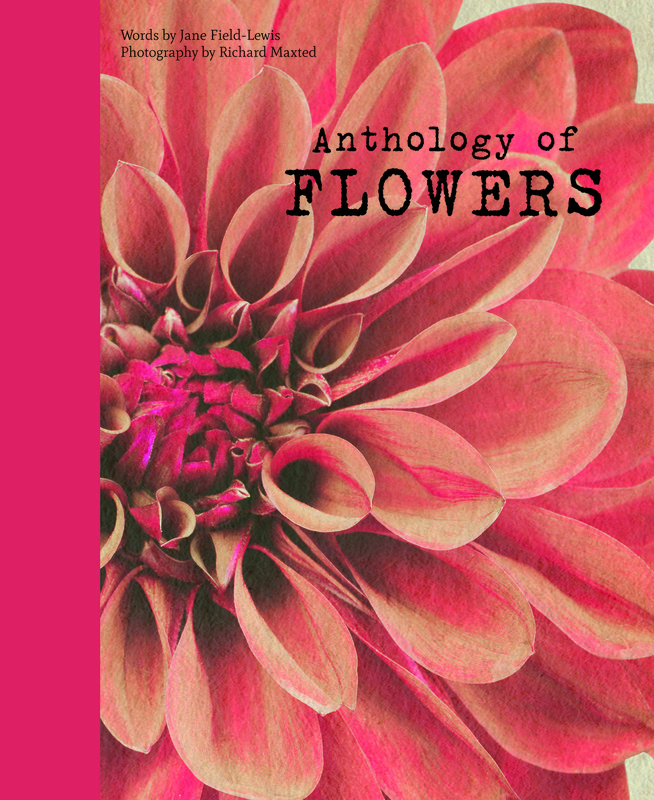 Whether for dipping into, or poring over, these pages will bring pleasure to anyone who loves the beauty of flowers, art, design, contemplation or reading. Botanica is the universal standard work for garden enthusiasts and botanists alike. The collaboration of a team of international experts has resulted in a reference work that illustrates the rich diversity of our flora with a myriad of indigenous and exotic plants. More than 10,000 genera and species – from A for Abelia to Z for Zygopetalum – are clearly presented in a well-organized manner. Richly illustrated with color detail and large-format images, this botanical alphabet offers all kinds of information about starting, caring for, reproducing and propagating plants as well as their appearance and special qualities. A glossary and an index of the English names and various synonyms allow you easy access to species and families. This book is not only addressed to seasoned botanists in search of a reliable companion, but also to hobby gardeners and interested readers who want to spruce up their own gardens or deepen their botanical knowledge. You would like being friends with Leo. He likes to draw, he makes delicious snacks, and most people can’t even see him. Because Leo is also a ghost. 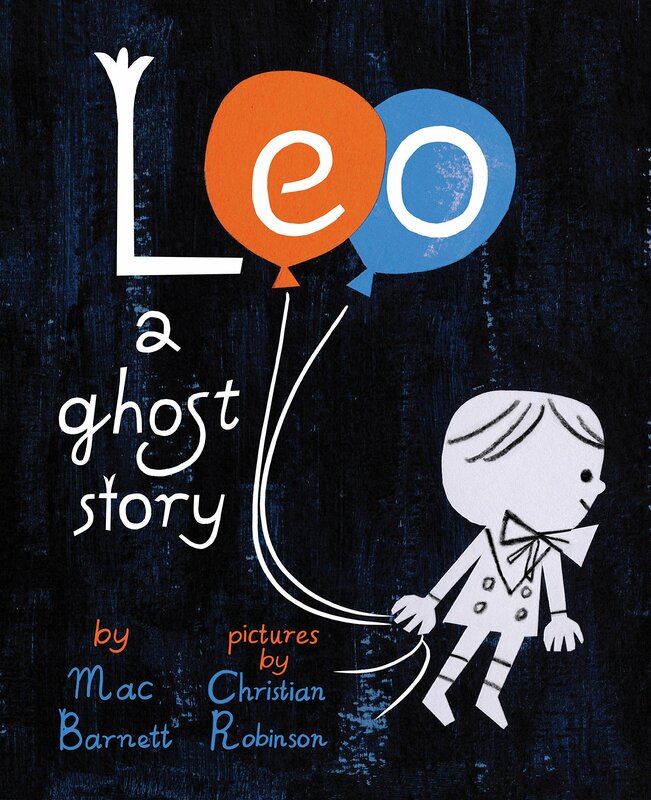 When a new family moves into his home and Leo’s efforts to welcome them are misunderstood, Leo decides it is time to leave and see the world. That is how he meets Jane, a kid with a tremendous imagination and an open position for a worthy knight. That is how Leo and Jane become friends. And that is when their adventures begin. This charming tale of friendship—from two of the best young minds in picture books: the author of the Caldecott Honor–winning Extra Yarn and the illustrator of the Bologna Ragazzi Award–winning Josephine—is destined to become a modern classic that will delight readers for years to come. 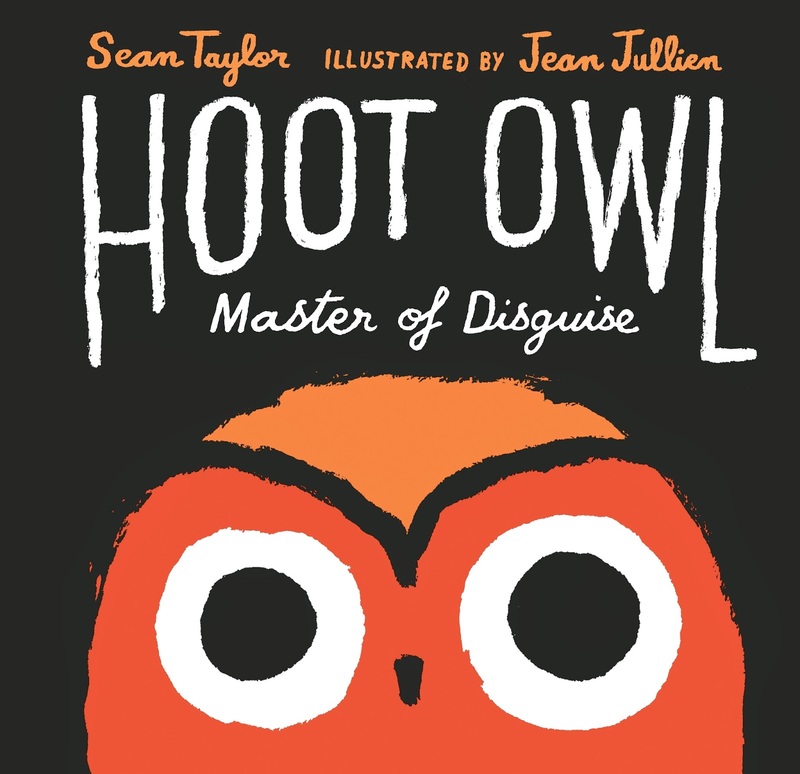 From masterful storyteller Sean Taylor and exciting, celebrated graphic artist Jean Jullien, comes the laugh-out-loud tale of Hoot Owl. Hoot Owl is no ordinary owl – oh no! – he’s a master of disguise! And he will use his expert camouflage powers to trick his unsuspecting prey into succumbing to him! Tiny animals of the night … beware! But, somehow, Hoot Owl’s prey keeps escaping… Hmmm, perhaps he isn’t quite as masterful as he believes. Will he ever succeed in catching himself some dinner? Hilarity, ridiculousness and very bad costume changes abound in this wildly inventive new title. From thrilling debut author Goldy Moldavsky comes Kill The Boy Band, a pitch-black, hilarious take on modern fandom and the badass girls who have the power to make – or break – the people we call ‘celebrities’. This powerful debut novel delicately blurs the line between truth and fiction as Carol unravels the fantastical stories of her mentally ill grandfather. When she and her family move to his deserted ranch in order to transfer him to a care home, Carol struggles to cope with the suffocating heat and the effects of her grandfather’s dementia. Bees seem to be following her around, but the drought means this is impossible. She must be imagining things. Yet when her grandfather chooses her as the subject for his stories – tales of a magical healing tree, a lake, and the grandmother she never knew – Carol sees glimmers of something special in what her parents dismiss as Serge’s madness. As she rethinks her roots and what she thought she knew about her family, Carol comes to the realization that Serge’s past is quickly catching up with her present. A stunning coming-of-age story.